Here we continue with the summer classics theme and the search for the perfect recipe. To briefly recap, I finally had the “aha” moment, or perhaps the “duh” moment in realizing that the classic picnic foods are challenging to recreate because we have each had sampled several truly good versions and more than our fair share of barely passable versions. Think of the last time you had some totally ho-hum potato salad and wished to be eating your favorite version. Tasting a brand new to you dish that is delicious is considered delicious because its tasty and also because there is no benchmark comparison. Compare that with the classics, such as when Aunt Millie always brings the deviled eggs to the BBQ because hers are the best, and you quickly realize how intimidating these simple dishes are. Reputations are on the line here people! So, I love eggs. One egg scrambled with lots of veggies, or a nice little quiche, or deviled, or even poached (the test of a good diner line cook). Somehow the Love for Deviled Eggs gene was not passed along to my children, so I only make them when we’re having friends over. For a few years I made deviled eggs that made me sing, but no one ever took a second. A bit of curry powder in the yolks? Brilliant only in my mind. Some horseradish perhaps? Only I was pleased. Extra parsley? Cilantro? Watercress? No, no, and more no. Finally I realized the obvious: no one wants creativity in a classic at our backyard BBQ gatherings. 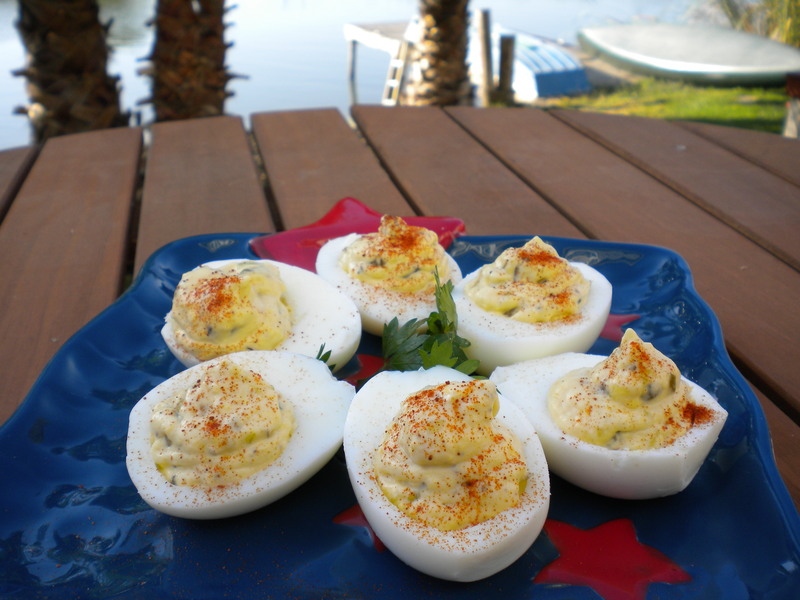 With a little guidance from Paula Deen, these Fly Off the Plate Deviled Eggs were created. And I’ve never looked back. In public. 1. Halve 8 eggs lengthwise. Remove yolks and place in a small bowl. 2. Mash yolks with a fork and stir in mayonnaise, pickle relish, and mustard. Add salt and pepper, to taste. 3. Fill egg whites evenly with yolk mixture. Sprinkle lightly with paprika. Do taste the mixture to make sure it is salted properly. Salt makes a big difference in egg dishes. I use the ol’ zip lock back trick for filling the egg whites. Just scoop the yolk mixture into into a bag, cut off one corner, and use it like a pastry bag to fill the egg white shells. Feel the need to add just a little more mustard? Don’t. These are perfectly balanced. As for the “fly off the plate” in the title, yes, yes, yes they do! Its summer time and the livin’ is easy. Time to pull out those quick and light recipes that are just good, good, good to have on hand. Last weekend, while dog sitting for some friends, I took a few minutes to relax with their cookbooks. You know when you see a recipe that is just off kilter enough that it has to be either a big hit or a major bomb? That’s exactly what went through my mind when I saw this. Strawberries on the grill? Really? Really! Grilling the strawberries doesn’t do anything magnificent to enhance the flavor, but it softens the berries which is a great textural contrast with the shrimp and fennel. And, its just a nice change of pace. The vinaigrette is a total keeper with its balance of sweet and bitter. I’ll be looking for more ways to use this little ditty. 1. Prepare the vinaigrette by mixing the vinegars and honey in a bowl, then stirring in the shallots, garlic, pepper and salt. Whisk in the olive oil slowly until incorporated. 2. 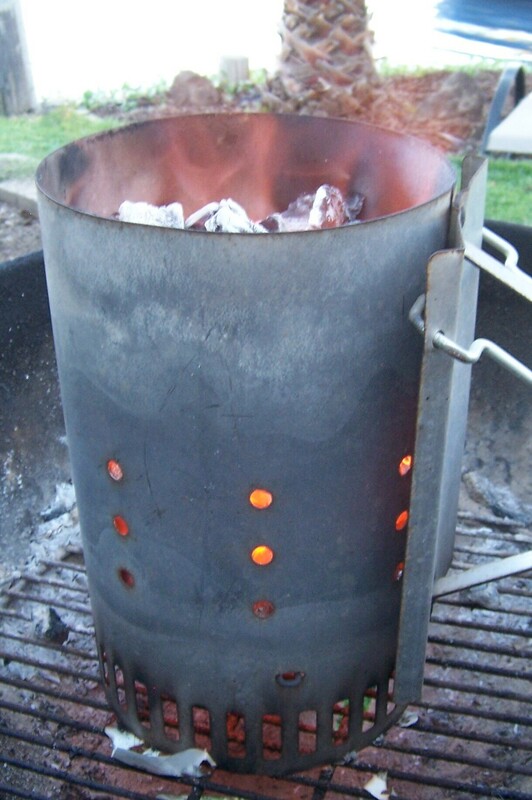 Prepare a hot fire on the grill. 3. Thread each skewer with 3 prawns and 2 whole strawberries. Brush lightly with vinaigrette on each side and place them on the grill. Turn the skewers after 2 minutes and bush again with the vinaigrette. Continue cooking until the prawns are pink and no longer translucent on the inside, about 2 more minutes. 4. Add the mint to the remaining vinaigrette. Quickly toss together the remaining strawberries, sliced, and the fennel, along with 1 to 2 TBS of the vinaigrette. 5. 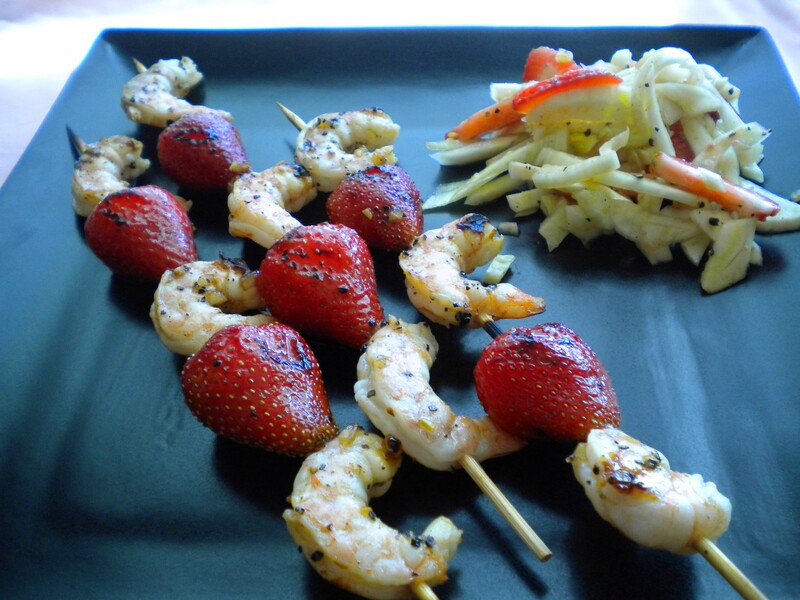 Serve the shrimp and strawberry skewers alongside the fennel and strawberry slaw. This vinaigrette on the shrimp was simply magnificent! Not being the biggest fan of fennel, I think the next time Napa cabbage may be a good substitute for the fennel. It does have to be something with some crunch and heft. Butter lettuce would not hold its own in this dish. I hear people go on and on about the loveliness of living in France where they just pick up a few items from the local farmer and all then enjoy some time relaxing with family, feasting on food that others can only dream of. That is how I feel about my locale. Today, found a bit of chicken in the fridge and put some rub on it … always a strong start. Ran out to TK’s Best for some corn and tomatoes, and voila … we have dinner! 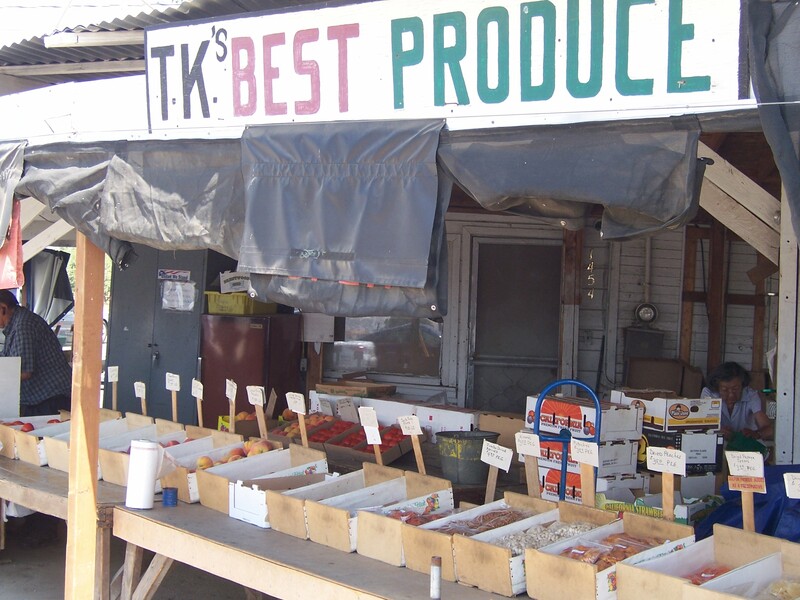 TK’s Best is usually my go to place for eggplant, a variety of peppers, long beans, and other Chinese veggies. They had a rough go of it last year with the widening of the road and having their water cut off for a few weeks during planting season (go figure), so I like to give them a little more business when I can. Today I picked up just corn and tomatoes for tonight and was out of there barely $3 lighter. They also had flats of tomatoes for canning or whatever, which I plan to do annually, but …. So tonight, while it may not be France, we’ll dine on BBQ chicken, locally grown corn and sliced tomatoes. Oh yeah, the whole plan with tomatoes this real is just to add a bit of kosher salt and pepper and let the tomato shine. And, while preparing our al fresco meal, we’ll chat, play darts, and toss toys for the dogs outside lakeside while watching the catamerans play in the breeze.